Location is super important for us. We have kids and little legs don't want to walk forever. 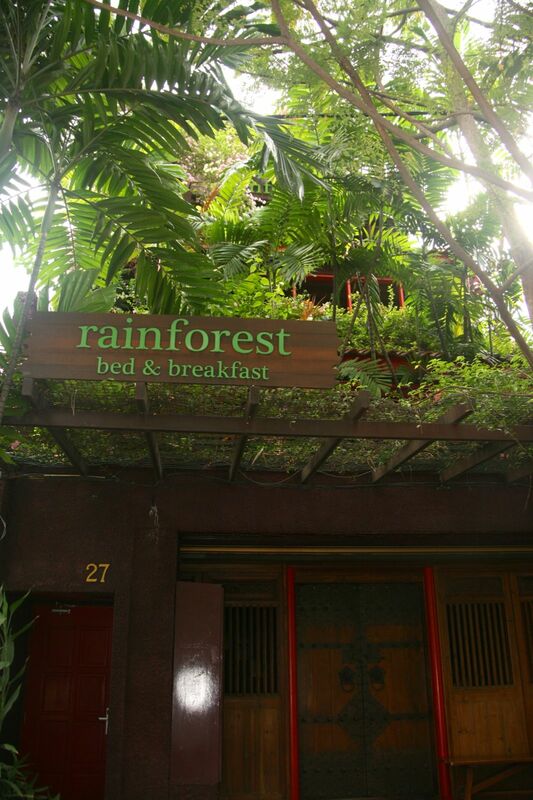 The Rainforest Bed & Breakfast was clean, full of character and a great place to stay in Kuala Lumpur. It is ideally situated in the center of Bukit Bintang with easy walking distance to the covered walkway to KLCC, monorail (which is not stroller friendly) and KL tower. 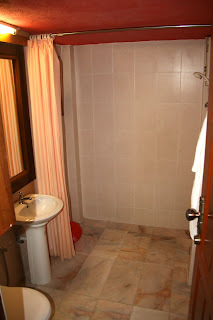 We stayed in the family suite which was huge with a private bath. The room had a king bed plus two twins, a sitting area, plenty of room for a crib, large closets and lots of windows. The beds were comfy and not hard but not overly soft. The linens clean and fresh. The bathroom was big and tile clean. The A/C (aka Air con) took a while to cool down the room, but worked great after an hour of being on. Cable tv only got CNN and Nat Geo and wifi only worked in the common areas. The noise level was not a problem. We stayed in room 34 and no one was above us that we heard. The noise from the street bars was not overly obnoxious and one could easily sleep through it. The third floor in Asia is really the forth floor and the stairs were narrow and might be a safety issue for little kids or drunk people. 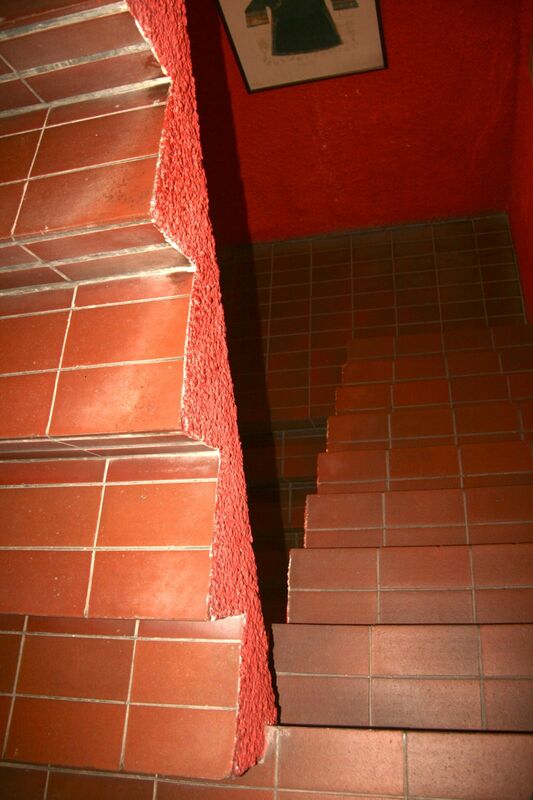 Not sure if the stairs or the textured walls (scrape your arm) were more dangerous. The staff was very friendly and carted the luggage for us up and down the stairs however they were not very knowledgeable about area attractions. There is a large sitting area on the 3rd floor and the main floor. There is also a wonderful balcony to sit and enjoy a drink or two on. Breakfast was pretty basic. There was toast, fruit, corn flakes, oatmeal and ritz cracker and beverages of coffee, tea and hot cocoa. There was only one toaster so if it's crowded get in line. Overall we really liked the Rainforest B&B and would definitely stay there again! A bit pricy for 200RM a night but we liked it. Tip: If you stay in room 34, enjoy the fun entertainment above the bed. Enjoyment for kids and adults! Anyone else stay here or have a recommendation for KL?